Another new year has arrived once again, and I’m not even sure where the last one went. 2013 was a fantastic year for the Aqua Initiative and we’ve made some fantastic developments. We started the year with nothing but a dream of a world where everyone had access to clean water and sanitation. While having a dream is great, it’s taking action on that dream where the real change happens. In 2013, we took action and made the biggest leap in our history, and became a fully registered charity in Scotland. This now means we are a legitimate organisation and will be able to spread our dream to a larger audience and make an even bigger change. However, becoming a registered charity is certainly not a simple task. If you don’t know, as CEO and Founder if the Aqua Initiative, I’m still only 19 years old. domain dns info I have a passion and I have a dream of what the Aqua Initiative can do, but I haven’t exactly run a charity before. godaddy.com transfer domain There is plenty of places where mistakes can be made, and I don’t want to do anything to negatively impact the good work that we are trying to do. ask mr robot wow Therefore, in 2013, we took things slow, making sure we got all our foundations in place to support us when we start working. Part of these foundations was technical and legal elements, such as gaining tax status from the UK Tax and Customs Office (the documents have been submitted and are being processed, it is these documents that are preventing us from operating at the moment, incase we are taxed). Other technical elements include setting up donation portals, such as our text line that we set up this year, allowing supporters to text “AQUA13 £5” to 70070 to donate directly to us. Other foundations we put down this year were defining the image of the Aqua Initiative. As a charity, we want to be as transparent, modern and engaging as possible, so we wanted a look that reflected that. subdomains . Along with our UK launch on 22nd March 2013, we had a major revamp of our website and social media sites, with the launch of our new logo and dynamic website (which you’re on right now). These were a great achievement for us, and sets us up with a professional look for when we begin operations. Well, what’s next for 2014? Due to the time getting these foundations in place, many of our objectives for 2013 were not fully achieved, therefore we hope to continue to work on them in 2014. Our aim is to begin operations and get up and running with a major launch event. We hope to engage with the local community in Aberdeen, where we are based, and begin our awareness and fundraising opportunities with local schools, businesses and more. web whois . This will eventually lead us to using the donations we received in 2013, and those we shall receive in 2014 to go to beneficial and sustainable water projects around the world and to helping the lives of thousands of people. There’s a long way to go, and we’re only just taking our first steps. But we believe even the smallest effort can make a difference. find a domain . There is a great opportunity to save lives and the Aqua Initiative is determined to bring about this change through providing clean water. web whois We’d like to thank everyone who has supported us in the past year and we hope for your continued support in the years to come. 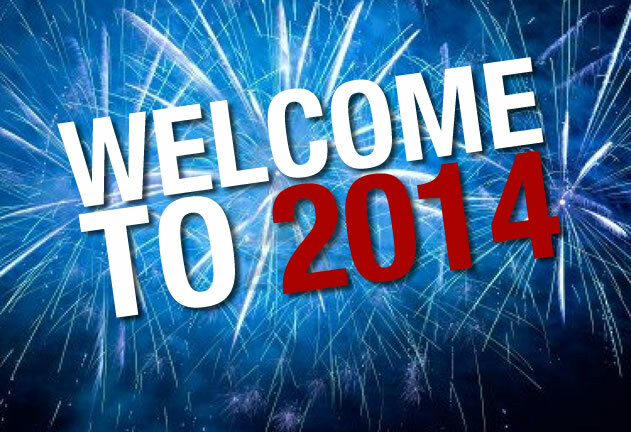 We’d like to wish everyone a Happy New Year!